Cats make great pets. They are adorable, cuddly, and independent. 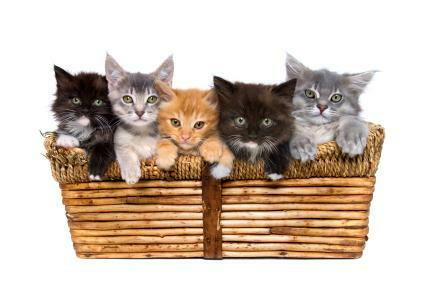 Although cats are independent animals, they still need a lot of care. If you are planning to become a cat owner, Fairway Knolls Veterinary Hospital in Bloomington recommends a few tips that you should know. Many kittens start out eating soft food; however, after a few weeks, you should start the transition to hard food. Hard food is important for removing the plaque and tartar from their teeth. You still can give your cat soft food as a treat. Your cat is going to need a litter box. Cats learn to use the litter box very quickly. They are clean animals, and they prefer a clean place to do their business, so make sure that the litter box is clean. If you already have a cat and you are bringing a new one home, you should consider getting a second litter box. Most cats like to have their own place to do their business. You should have your cat spayed or neutered. This is essential even if your cat is going to be an indoor cat. Female cats spray, which can make your home smell really bad. Spaying prevents this. Male cats don't spray, but they should still be neutered. If there is a cat in heat in the neighborhood, your male cat will stop at nothing to get outside. Just because your cat is an indoor cat doesn't mean they will be immune to fleas. If someone comes inside and fleas have jumped on the cuffs of their pants, the fleas will take residence on your cat. To keep your cat from getting fleas, you should treat them regularly with flea medications, available at our animal hospital. Schedule an Appointment with a Veterinarian Today! To ensure that your cat stays healthy, you should schedule regular check-ups with a veterinarian at an animal hospital. Call Fairway Knolls Veterinary Hospital in Bloomington at 309-663-1414 to make an appointment so that you can give your cat the care they need.